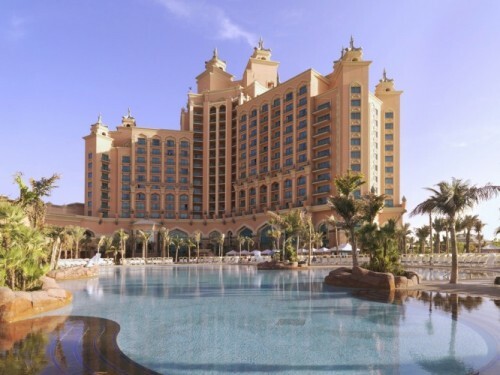 DUBAI, United Arab Emirates (15 July 2018) – Atlantis, The Palm is the ultimate summer hotspot, following the launch of ‘Summer Pool Sessions @ Atlantis’, a brand-new pool day pass, that invites guests to laze away the day in the cool waters of the resorts’ Zero Entry Pool. Open every day from 11am, ‘Summer Pool Sessions @ Atlantis’ invites ladies to enjoy free sun lounger and pool access, as well as special offers including AED 150 for a bottle of grape and lunch. Not forgetting the guys, access to ‘Summer Pool Sessions @ Atlantis’ is just AED 150 minimum spend on weekdays, and AED 250 on weekends, redeemable against food and beverage. With daily happy hours from 5pm-7pm, “Grab a bag” specials starting from AED 65, and special offers on Cocktails including “Mojito Fiesta”, “Gives you Wings” and “Watermelon Bombs”, there really is no better place to be this summer. Guests can also enjoy a livelier weekend atmosphere, with DJ sets every Friday and Saturday from 2pm. Sun loungers are on a first come, first served basis and beds and cabanas can be reserved in advance with a minimum spend starting from AED 700. To make a booking or for more information, please call restaurant reservations on 04 426 2627.